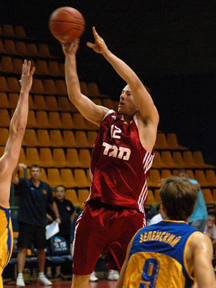 A Cambridge native who played professional hoops in Israel is getting ready to launch a new online marketplace for private coaches. CoachUp founder Jordan Fliegel took the wraps off a test version of the site recently — and among more than 100 golf, squash and baseball coaches on CoachUp, you'll also find Fliegel himself, offering his advice on "attacking the rim with limited dribbles" for $69 an hour. As Fliegel worked in business development for Waltham-based Zintro, he also did some private coaching in town, and the idea for CoachUp started to take shape. The site targets middle- to upper-income parents who have kids in middle school or high school playing a sport competitively, and who naturally want to see their kids improve. Coaches who offer their services through the site name an hourly price, and CoachUp adds a small mark-up. "We're never going to take a penny from a coach," Fliegel says. The site will encourage users to purchase five or ten coaching sessions at once, with discounted pricing on those packages. Fliegel says that CoachUp will interview coaches before allowing them to list on the site, and will check references. "We'll also be collecting data on how many clients come back to purchase more lessons, and getting community feedback," Fliegel says. "Over time, the best coaches will rise to the top, and the worst will sink to the bottom." Fliegel says he's trying to wrap up a $100,000 fund-raising round before the site's official launch; angels already involved include Mike Dornbrook, formerly chief operating officer at Harmonix Music Systems, and Scott Heller of CoFlow Investing. Fliegel says that Sheila Marcelo, CEO of the personal services marketplace Care.com, has been an advisor. The company has five employees, and recently moved to the Intrepid Labs shared office space in East Cambridge. Here's a video of Fliegel telling the story of CoachUp, recorded in February.